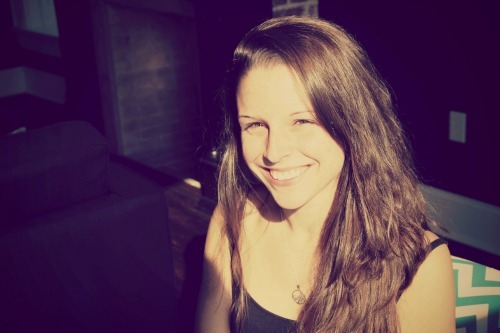 This is a guest post by Kayla Matthews. Want to contribute? Check out the 2017 publishing calendar. When you think of business in the 21st century, the telephone may not be the first tool that springs to your mind. However, a single phone call can ensure a completed business deal or create a lucrative partnership. It all depends on the level of effort you are willing to invest in your coaching business. With the accessibility the internet gives us to set up a Slack chat or a Skype call with anyone, anywhere in the world, a phone call might not be your go-to for professional operations. But if you eliminate the somewhat antiquated image of using a phone to handle business, something obvious comes to the surface — communication. Managing business affairs via your smartphone or your business line is an exercise in communication skills and negotiation tactics. Looking at the situation from this angle gives new substance to every business call you’ll have in the future. Taking the time to do your due diligence can be the best first step you take for a business call. Treating every consultation call with the same professionalism as your face-to-face meetings will result in many beneficial payoffs. If you are an executive coach pitching to another company, be informed. Making a prospective client or partner feel important, rather than a target, will capture interest and fuel the conversation further along. Closing calls are incredibly important toyour coaching business as the first step to working together. By showing a prospective client a high level of preparedness, you provide a positive impression from the beginning. By researching beforehand, you can anticipate questions and prepare well-thought-out answers and assurances. Asking questions is a great way to spur engagement with a prospect. By researching your subject beforehand, you can prepare a slate of questions to ask, which in turn creates a more conversational tone for the entire call. Be straightforward with every potential client you speak to over the phone. It doesn’t matter what you’re selling or offering — you’re on the call to close the deal. Acknowledging this need creates focus, focus establishes professionalism — and professionalism is currency. Ask any business professional or executive and they’ll say the same thing: They have no time to mess around. If you’re calling to offer a free consultation, be assertive and authoritative about your business and services. If you’re on a discovery call, come prepared and be an active listener. Answer questions definitively, not passively. Also, use your passion. You should already be passionate about your business, so your primary responsibility on the call will be to channel that enthusiasm to your prospect. Standing during the call or doing a visualization exercise can help with this purpose. Motion creates emotion, so move around as you speak. Stay on topic, but help your subject understand the opportunity you are offering them. Help the person on the other end of your call understand your value. Why should I care? It’s the first question anyone being sold anything will ask, whether over the phone or in person. The best way to combat this question is to create value as soon as possible. Have confidence in your coaching service, not only in its effect, but in the need it meets. Point out the problem you solve — even if there’s no real difference between what you offer and what your competitors offer. Find something to highlight about your service and play it up. In fact, don't bother mentioning your competition at all. As far as your audience is concerned, you’re the only game in town. If your prospect brings up the competition, find a way to steer the conversation back to your offer. No matter what, don’t go negative. Not only does it come across as petty and unprofessional, but it can backfire terribly. Another valuable asset you want to develop for your consultation calls is engagement. Get your prospect talking about their lives, their work and their needs, rather than drone on and on about yourself. Often, the person doing the selling dominates the conversation during a sales call. However, as a coach, you want to use a good amount of the time finding out more about the client before going on about how you can help them. Encourage engagement on both sides of the line, ask questions and encourage your subject to ask you questions in turn. Make observations and use public information to find common ground. If faced with a long silence or little enthusiasm, force a yes. Ask a hypothetical question with no connection to your topic, as long as it leads to a “yes.” The idea is to create a back-and-forth: to change a one-sided call into a conversation. For anyone worth meeting with, anyone worth selling to, time is money. Take that inherent urgency and use it to your advantage. The idea is to place a time limit on doubt and indecision. One of the most effective negotiating techniques has always been to walk away. Showing someone you are willing and able to leave the table is a strong in-person sales tactic, but you can use it over the phone, as well. Make your pitch or case as eloquently as possible. If your prospect is still hesitant, perhaps they truly aren’t ready for what you’re offering. Maybe their company’s not on that level yet. It’s OK to move on. If you manage to set a meeting or conclude a productive consultation call, make sure you follow up. Sometimes when an executive is “out of the office,” they really are out of the office. Do not allow yourself to be another random voice on their voicemail — make your presence known with a call back. If you make an appointment to call at a certain time in the future, keep the appointment and be prompt. Remember, a request to call back is not a “no” — just a second opportunity to make a good impression. 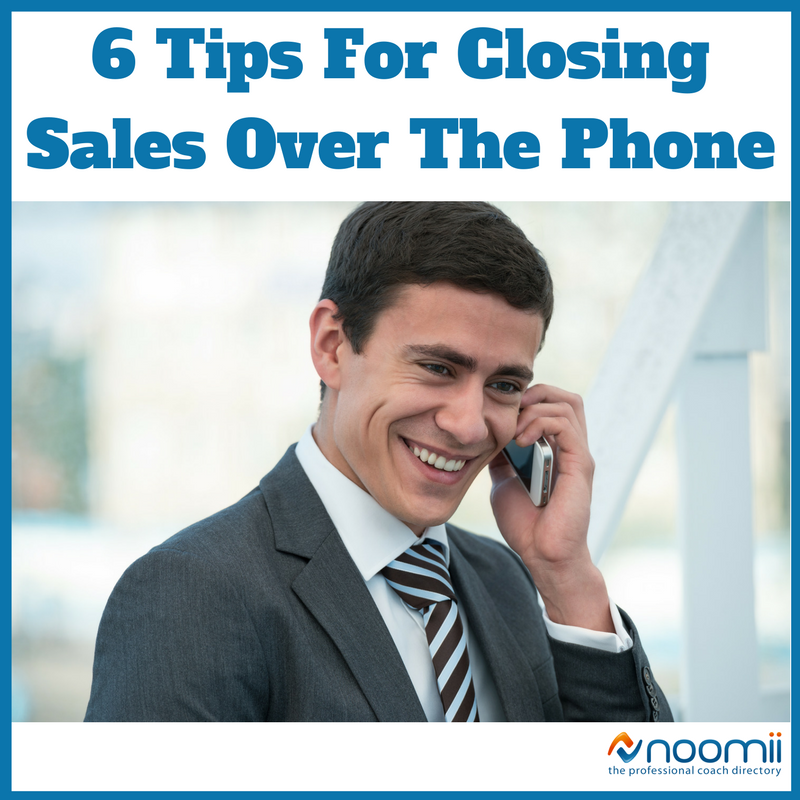 Want to learn more valuable tips on closing the sale with potential clients? Noomii’s CEO Stephan Wiedner has partnered with Master Coach Sifu Karl Romain, the #1 most hired coach on Noomii, to develop Deliberate Growth, a six-month group coaching program to teach coaches the invaluable skills needed to market and grow their coaching business. Learn More About Deliberate Growth!